A full overview of all adventure games released in the Jurassic Park Series. These can be episodes, remakes/remasters or sequels, created by either one or several companies. As long as the IP is used, we'd quantify this as part of a 'series'. 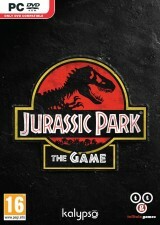 The game returns to Isla Nublar during the events of the first movie, with familiar locations and creatures to encounter, plus new areas to explore and new prehistoric beasts to survive in a game that combines fast-paced action, exploration and puzzle-solving.